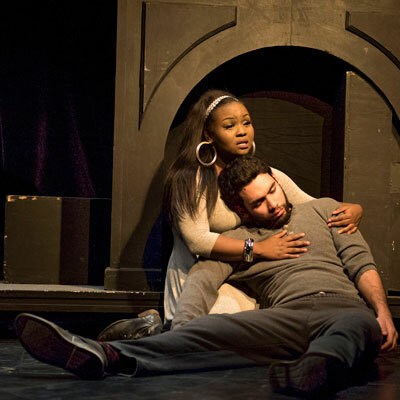 The next Studio Series production of the NIU School of Theatre and Dance presents one playwright’s vision of the final chapter of Christianity’s most infamous story of betrayal. Opening Thursday, Feb. 18, “The Last Days of Judas Iscariot,” by Stephen Adly Guirgis, is a courtroom drama where title character Judas is on trial. The matter before the court is not regarding his betrayal of Jesus Christ, however, but to determine whether Judas should continue to be eternally condemned for it. Taking place in a small corner of Purgatory called Hope, the expected parade of Biblical witnesses, including Satan, but also historical figures such as Mother Teresa and Sigmund Freud, argue the case. Director and faculty member Anthony Perrella says the world created by Guirgis combines the Biblical characters with courtroom lingo and contemporary urban colloquialisms to build a unique and complex environment. Perrella credits Guirgis with creating a fresh and thought-provoking take on the Biblical event. Art is meant to inspire, provoke thought and revolutionize the world, Perrella adds. “It represents a triumph of art by entertaining us in addition to causing us to reflect on ourselves,” he says. 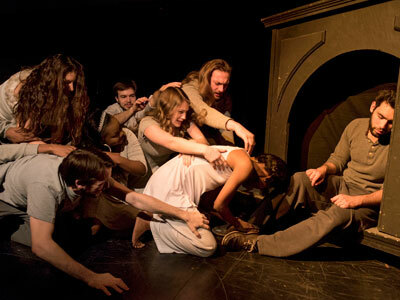 “The Last Days of Judas Iscariot“ runs Thursday, Feb. 18, through Sunday, Feb. 21. The show will take place in Holmes Student Center Diversions Lounge Theatre on the NIU campus. Performances start at 7:30 p.m. Thursday through Saturday with 2 p.m. matinees Saturday and Sunday. All general admission tickets are $7. For more information, or tickets, contact the School of Theatre and Dance box office at (815) 753-1600 or sotdboxoffice@niu.edu.